I awoke on Thursday to the realisation that it was 1st December and the countdown to Christmas had started. This year has flown past and I can’t believe that it’s almost a year since I was writing about French Christmas traditions. Christmas is a lower-key affair in France than it is in the UK. I don’t mind that. I always found the commercialism and over-indulgence associated with a British Christmas a bit too much. Nonetheless, the unmistakable signs of Christmas are appearing here already – some of them, admittedly, imported by we Brits. Now, our village main street is not exactly les Champs Elysées, but the communal Christmas decs have been up for a couple of weeks. They are nicely understated. The same can’t be said of some of the inhabitants, though. On Sunday evening we passed a house which had already received the full Yuletide treatment: coloured lights, a flashing Christmas tree and the obligatory Santa scaling the wall. I’ve always thought that if I wanted to be a burglar, a Santa outfit would be a good disguise. The supermarkets have been full of mountains of boxes of chocolates, toys and hopeful children for several weeks. You can buy Christmas trees in pots already. French TV commercials have switched to ads for chocolate, perfume and albums by singers I’ve never heard of. When we first moved here there weren’t any, although I know they are a longstanding tradition in other parts of France, such as Alsace. Now, every village in the neighbourhood has its own Christmas market. We received the first ones this week. The French rarely send Christmas cards but prefer to send cartes de voeux for the New Year and then only to a select few. This is hardly surprising since the price of cards in France is prohibitive. In IKEA at Toulouse last week, we saw packs of 6 charity cards for 13€. Perhaps I’ll make my own this year: be warned. I don’t think carol services are traditionally French, although I’m willing to be proved wrong. I suspect they are a British import. Again, they barely existed round here in 1997. Nowadays, they take place all around the region. The choir is well into rehearsals for the carol service to take place in Parisot church at 17h00 on Sunday 18th December followed by mulled wine and mince pies in the salle des fêtes. Fortunately for everyone, I’m not in the choir but I shall be reading a lesson in French. It’s a nice short one. A local éleveur has been fattening up hundreds of black turkeys for several months. The sign of their impending fate – a pile of red crates – has not yet arrived but it can’t be long now. At least they have led a reasonable life in an outdoor enclosure with plenty of stones and low-hanging branches to sun themselves on. Turkey isn’t my favourite meat. I prefer game such as venison for Christmas lunch. Surprisingly for a country that is so wedded to la chasse, game is not easy to get hold of. You can get it in supermarkets around Christmas but rarely at other times, except in the freezer cabinets. If you have a principled objection to foie gras, look away now. The marchés au gras have now started up. People go there to choose raw duck liver to make their own foie gras. I am almost afraid to admit that I am very partial to foie gras, but I eat it no more than once or twice a year for cholesterol-related reasons. When my conscience and my stomach do battle it’s invariably the latter that prevails. Last week, although we were still in November, IKEA had started serving its Christmas menu. We ignored that and had Swedish meatballs – good value at 1.95€ for ten. On Thursday we went to our Troisième Age club’s annual Christmas bash at La Renaissance in Caylus. Although only a mere stripling of 50-something, I still count as a sénior. 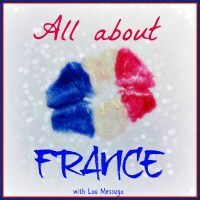 We may be past the first flush but we can all put away a five-course meal with apéro, wine and coffee. The noise level is deafening and you can barely hear your neighbour. But the French don’t get drunk: wine is usually left in the bottles at the end. I can’t imagine this happening at an English do. There are more signs of Christmas yet to come. For example, we are still awaiting the annual visit of the pompiers – fire brigade – who will hand over their 2012 calendar in return for a donation. Then there’s the man who runs the local football club who has realised that we are a soft touch. I’m always happy to oblige since both calendars contain photos of strapping young men. The SF isn’t quite so enthusiastic. Le facteur – postman – always loses out since we have a postal box at the village post office. If you get Living France magazine, look out for a feature in the Christmas issue about how contributors to the magazine spend Christmas. It includes a snippet by me about the life-sized crèche at Loze plus one of my photos. This entry was posted in Customs, French life and tagged Christmas, Christmas carols, Christmas markets, Christmas traditions, France, SW France. Bookmark the permalink. I too prefer the lower key commercialism of Christmas in France. At least it’s not Christmas from the end of October onwards as it is in the UK – and you just know that as soon as the excess crackers and cakes have been sold off in the supermarkets in early Jan, there are Easter eggs stacking up! We went to a restaurant for lunch today with a group of people. We all remarked that there was not a piece of tinsel to be seen. Any restaurant in the UK would be decked to the nines by now. I also like the fact that everything here doesn’t grind to a halt for a fortnight (except the railways but the usual strike seems to have been averted this year). I was in Boulogne ten days ago – the Christmas lights were up but not lit – and in Peterborough the next day where there were so many Christmas lights that you could have read a book by them. 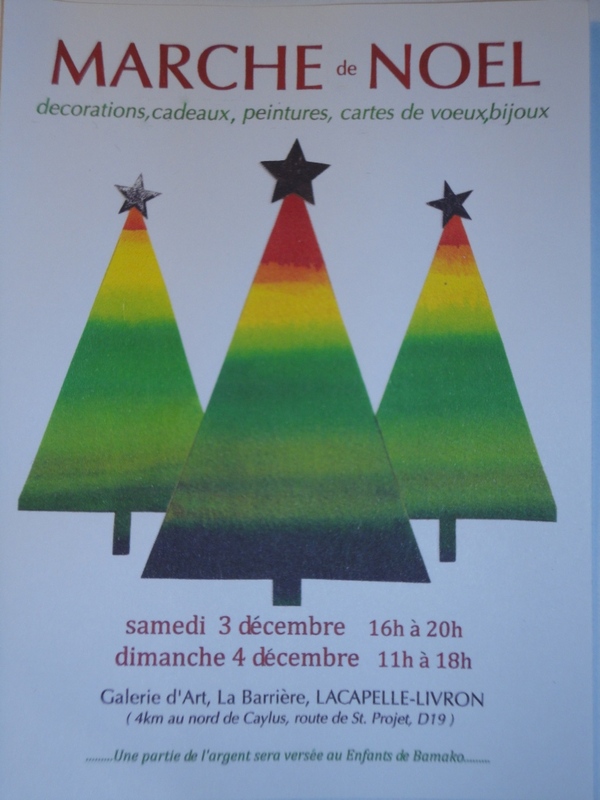 The best Christmas event I’ve ever been to was here in France, a créche vivant in a small village church in Les Landes. It was sung in Gascon, we were all given crib sheets so we could follow (it’s amazing how Silent Night can translate perfectly into any language), the local primaire supplied all the angles, the baby Jesus behaved like and angel and didn’t squeak once and the gifts included oysters from Archachon, salt from Mimizan and a brace of pheasants from a chasseur (who took his dogs to pay homage to the baby Jesus as well). That sounds lovely. I’ve never seen a live crèche before. It doesn’t seem to be a tradition around here. 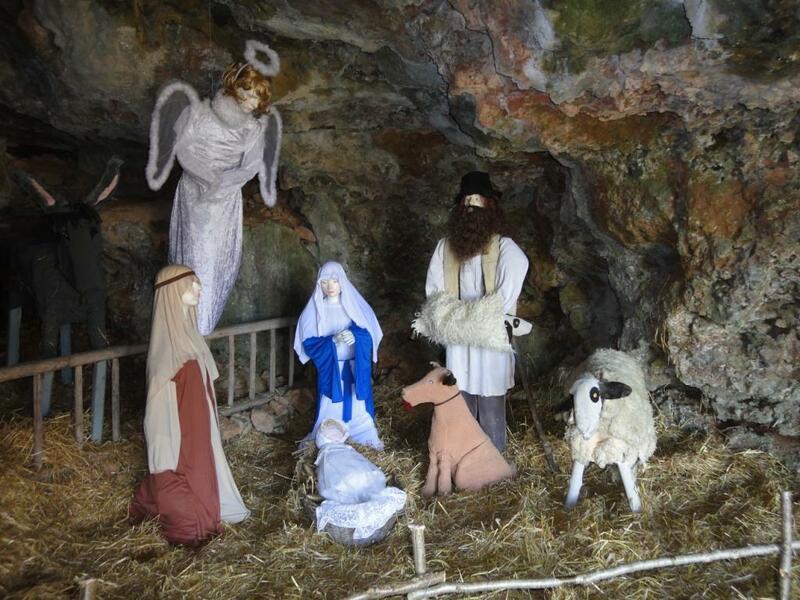 There is a life-sized (or two-thirds, anyway) crèche in a cave near Loze, about which I blogged last Christmas. It’s quite impressive. You could be talking about our area. I too have noticed how the American-style decorations and the Christmas fairs have increased. I find it all a bit too much. Being vegan (except for eggs), we can’t join in the celebratory meals. However, I’m thinking of blogging our Christmas lunch recipes! Will anyone read them? Who knows. It can’t be easy being vegetarian in France! I’m afraid I’m a confirmed carnivore so don’t have too much of a problem. I think you should post your Christmas lunch recipes. Although I eat meat, I also like vegetarian food and we have several veggie friends so it’s always good to get new ideas. All seven signs in full evidence here. The Christmas lights went on a few days ago in the village and in the local town of Boussac, where this year there are some strange moustache-like ones to be seen! Like you, I’m so glad Christmas isn’t too crazy over here. I couldn’t believe it when Christmas ads started appearing on English TV channels at the end of October. Shudder. I’m doing the Three Kings reading in French at our carol service. Which one do you have? We don’t get English TV so have happily been spared the Christmas ads until they started to appear on French TV as well. My reading is one I don’t recognise – about Simeon whom the Holy Ghost had told he wouldn’t die till he had seen the Messiah. Luke 2 v 25-32. Short, anyway, which is probably a good thing.